During an election that saw Democrats take control of the Blaine House and the Maine Senate, a pair of Bangor-area Democrats also managed to win seats in the Maine House of Representatives that were previously held by Republicans. At the same time, one area Republican, Gary Drinkwater of Milford, was able do the reverse, flipping a blue seat to red after a Democrat didn’t run for re-election. The two Democrats who won, Scott Cuddy of Winterport and Archie Verow of Brewer, both received at least 52 percent of votes in their districts. 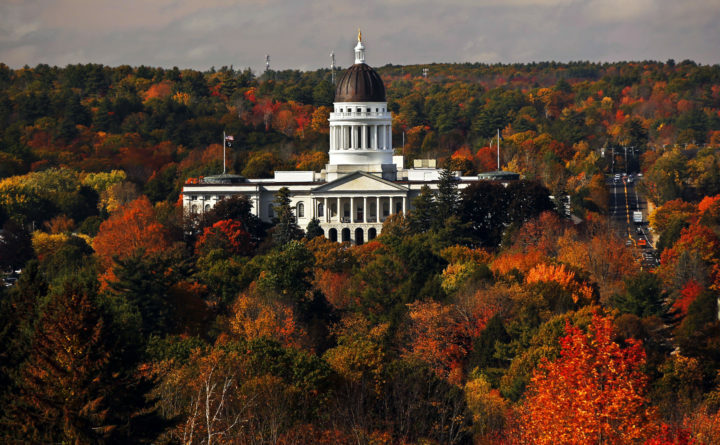 In doing so, they helped expand Democratic control of the Maine House of Representatives. In House District 128, which consists solely of Brewer, Verow successfully challenged incumbent state Rep. Garrel Craig, R-Brewer, collecting 1,947 votes to Craig’s 1,789. Verow had previously held the seat for two terms before losing the 2016 election to Craig. In nearby Waldo County, Cuddy won a seat that has been held for the past four terms by Rep. James Gillway, R-Searsport. Term limits prevented Gillway, the town manager in Searsport, from running again in House District 98. The district, which also includes Swanville and Frankfort, gave 2,332 votes to Cuddy and 1,924 to Brian Kresge, the Winterport Republican running to succeed Gillway. But in House District 121, which includes Alton, Corinth, Hudson, Milford and other towns, a Republican managed to capture a seat that had been held by a Democrat. The incumbent, Rep. Robert Duchesne, D-Old Town, did not run for re-election. Drinkwater, the Milford Republican, received 61 percent of the vote in a three-way race against Terri Cassavant, a Corinth Democrat, and Bonnie Young of Argyle Township, who is unenrolled. A number of incumbent state lawmakers from the Bangor area also will be heading back to Augusta after winning re-election Tuesday. The victors included state Sen. Geoffrey Gratwick, D-Bangor, a retired rheumatologist whose district, Senate District 9, also includes Hermon. Gratwick earned 60 percent of votes to fend off Jim LaBrecque, a Republican from Bangor who works as a refrigeration technician and has been an adviser to outgoing Gov. Paul LePage. The four Democratic members of the state House of Representatives who hail from Bangor also won re-election with at least 57 percent of the votes in their districts. Rep. Aaron Frey, D-Bangor, whose district includes part of Orono, was challenged by Republican Daniel Lapointe. He will represent House District 124 for a fourth term. Rep. Victoria Kornfield, D-Bangor, was challenged by Republican Gary Capehart and Cody Blackburn, a Libertarian. Kornfield, who will be serving her fourth term, represents House District 125. Rep. John Schneck, D-Bangor, was challenged by Republican Joshua Hiatt. He will represent House District 126 for another two-year term, his fourth. Rep. Barbara Cardone, D-Bangor, was challenged by Carrie Smith, who is unenrolled. She will spend another two years in Augusta representing House District 127, and she will be the only member of Bangor’s legislative delegation who won’t be termed out after the upcoming two-year term. To Bangor’s north, state Sen. James Dill, D-Old Town, won re-election to the seat representing Senate District 5, which includes Orono and stretches into northern Penobscot County. He was challenged by Debbi Perkins, a Republican from Millinocket, and Maia Dendinger, who is unenrolled. Dill will serve his third term in the state Senate. Also covering Orono, Rep. Ryan Tipping handily defeated Republican Derek Jones to win a fourth term in the Maine House. Democratic Rep. Michelle Dunphy of Old Town also won another term with about 70 percent of the vote, defeating Republican Delaina Toothman. This will be Dunphy’s third term in the Maine House. South of Bangor, state Sen. Kimberley Rosen, R-Bucksport, won re-election in Senate District 8, which includes parts of Penobscot and Hancock counties. She was challenged by Beverly Uhlenhake, a Brewer Democrat. Rosen will serve her third term. In that same region, Republican Reps. Peter Lyford of Eddington and Richard Campbell of Orrington both won re-election. Lyford will serve a third term after defeating Democrat Tammy Perry. Campbell will serve his eight overall and fourth consecutive term after defeating Democrat Michael Reynolds. In Senate District 10, which includes much of southwestern Penobscot County, Republican Stacey Guerin of Glenburn defeated William Lippincott, a Hampden Democrat. Neither candidate was an incumbent. Guerin, currently a state representative, will replace outgoing Sen. Andre Cushing, R-Newport.